The conspirators were plotting to assassinate Charles and three of his sons. Putting someone to the question is a euphemism for torture, a means of getting information from political prisoners. I’ve yet to decide whether or not the line stays, but the sentiment will remain. Fastrada would have approved of torture. In fact, she wouldn’t even question it. Nor would any of the other characters I’ve created (except perhaps a couple of nuns). My characters’ circumstances are so much different than mine–and so much more dangerous. They lived in a society of constant warfare. Charles went to battle often, and Fastrada did not know if he would come back. Travelers faced the threat of robbery and murder. Perhaps, that’s why the penalties for crimes are brutal by our standards: gouging an eye, chopping off a hand, the slow strangulation of hanging. Torture to get information is not a stretch in this context. The conspiracy I mentioned earlier is a real event. In 792, Charles’s oldest son, Pepin (also called Pepin the Hunchback), plotted to overthrow his father and get rid of his half-brothers, who were rivals to the throne. The more reliable historical records say nothing of torture, yet I have no doubt the conspirators were interrogated harshly. The king and queen would be desperate to know how deep the conspiracy went. This presents a rather squeamish novelist with a challenge. What is enough information to convey the brutality and terror of the times yet not have my readers lose their sympathy for my heroine? 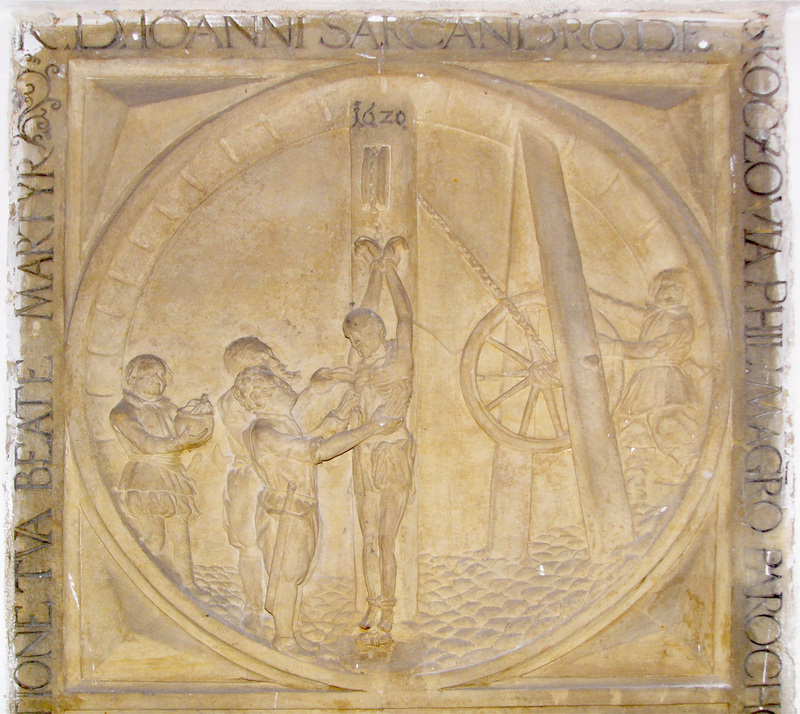 In the end, Pepin was tonsured and imprisoned in a monastery. His conspirators lost their lands and their lives. Some were hanged; other were beheaded. And, I suspect, some innocents were caught up in the affair. Charles’s cousin Wala was banished from court for a while, although he later became a close aide to the king. The bishop of Verdun and Count Theudald went through trials by ordeal in 794 and 797, respectively, to restore their good names and royal favor. Trials by ordeal were not for sissies. One method would have a defendant (or champion) grab a stone in a pot of boiling water. If his hand got infected and did not heal, that was seen as God’s condemnation. Were the names of the men who were later acquitted given under torture? We’ll never know, but it’s something to consider.